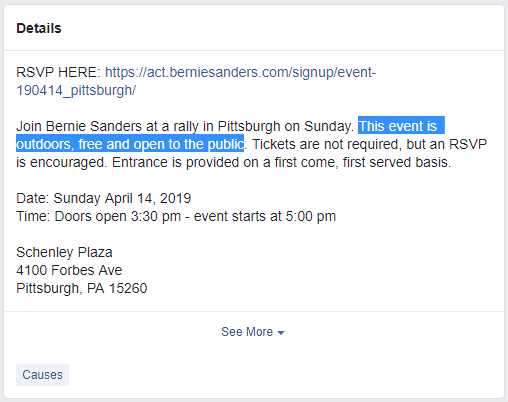 The event was listed on Facebook as "free and open to the public." In a second tweet, Bennett - who has appeared as an InfoWars correspondent, writes "The police officer agreed with me that I did nothing wrong, but booted me anyway. On my way out, the private security officer told me he supports me but has to do his job." Bennett made headlines last year when she took photos of herself with an AR-10 on the campus of Kent State University, tweeting "Now that I graduated from @KentState, I can finally arm myself on campus." More recently she has been frustrating progressives as an Infowars correspondent. Perhaps - and this is pure speculation - this had something to do with Sanders ejecting her.